His departure creates uncertainty about the future direction of the state’s Department of Corrections. The departure of Joseph Ponte creates uncertainty about the future direction of the Maine Department of Corrections. The departure of Maine’s corrections commissioner to run the New York City jail system has advocates and legislators wondering about the future of the state’s prisons. Mayor Bill de Blasio on Tuesday named Joseph Ponte to head the city’s jails, the second-largest jail system in the country with six times the number of inmates as the state of Maine’s system. At a news conference Tuesday to announce his criminal justice team, de Blasio said he chose Ponte in part because of his record in achieving reform and efficiency. De Blasio stressed the importance of preventing first-time offenders from becoming career criminals. Under Ponte’s leadership, the Maine Department of Corrections reduced the use of solitary confinement by two-thirds, the mayor said. In Maine, however, Ponte’s surprise announcement has created uncertainty about the future direction of the department. Ponte was the point person for Gov. Paul LePage on issues including building a new, more modern prison in Windham, creating a more unified corrections system with the county jails, ensuring officer safety and monitoring the use of force in state facilities. “Losing him at this juncture is an unfortunate interruption in that dialogue (with the LePage administration) as we try to resolve these questions before the end of the session,” said Rep. Mark Dion, D-Portland, House chairman of the Legislature’s Criminal Justice and Public Safety Committee, which oversees corrections. Dion said the departure of Ponte creates an opportunity for the administration to appoint someone who either supports Ponte’s initiatives or wants to take the department in a new direction. The committee was not notified of Ponte’s departure until after it was announced in New York City on Tuesday. Steve Lewicki of the Maine Prisoner Advocacy Coalition said Ponte was willing to meet with inmate advocates on a regular basis to discuss policy, giving them unprecedented access. Ponte met with the advocacy group as the department formed policies to sharply reduce the use of solitary confinement. The initiative came after the coalition, the American Civil Liberties Union of Maine, NAACP and Maine Council of Churches pushed unsuccessfully for legislation to mandate less use of segregation, which had been used frequently and for long periods of time, Lewicki said. Ponte, 67, was appointed by LePage in 2011, leaving his previous job at Corrections Corporation of America running a private prison in Nevada. He arrived with a reputation as a turnaround specialist. 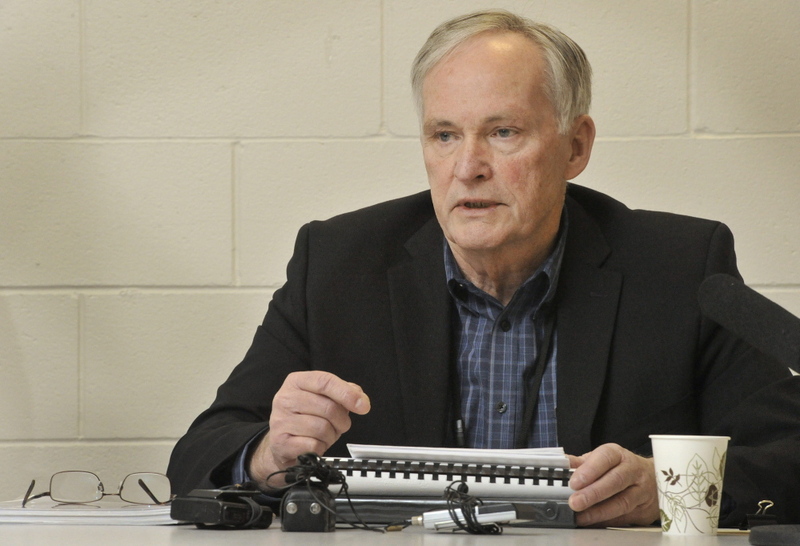 For much of his tenure, critics said he was brought in to help privatize Maine’s prisons. Instead, Ponte worked to reform corrections and make it more efficient. He said at the beginning of his tenure, and just days before he left, that he believed the job of corrections was to change convicts while keeping them safely removed from society. “What you’re seeing in corrections across the country, not just here in New York, in Maine, Mississippi, Colorado, is really a debate about how we do business,” Ponte said at the New York news conference. When he started in corrections 40 years ago, solitary confinement and segregation were commonplace inmate management tools, he said. His changes, however, weren’t always well received in Maine. The union representing corrections officers said the latitude given the inmates has made prisons more dangerous for staff. Jim Mackie, staff representative for American Federation of State, County and Municipal Employees Council 93, welcomed the news of Ponte’s departure. The union opposes a plan to build a new prison in Windham that would be more efficient to operate in part because it would require shutting down two smaller facilities elsewhere in the state, he said. Mackie pointed to two recent incidents that he said showed the state’s correctional facilities have become more dangerous under Ponte and led to a request for officers to be given stab vests. At the Maine State Prison in Warren, a prisoner was charged with murder after allegedly stabbing another inmate 87 times with a pair of makeshift knives on Feb. 28. The knives had the name of a corrections officer written on them, Mackie said. In another incident last month, an 18-year-old and two juveniles at the Long Creek Youth Development Center in South Portland allegedly beat up a staff member, locked him in a cell and escaped into an outer yard before being caught. Ponte said that in spite of those incidents, under his leadership the prisons have been more aggressive about investigating violence than in the past. The announcement of Ponte’s departure comes just days after he held an unusual news conference to defend the safety of the state’s prisons. In another high-profile incident, Ponte overruled one of his administrators who wanted to fire a corrections captain for pepper-spraying the face of a restrained inmate, instead giving the officer a 30-day suspension. Ponte said the officer had an otherwise unblemished record and that he could learn from the incident. A video of the incident obtained and distributed by the Portland Press Herald led legislators to call for better reporting of excessive force complaints and internal investigations. Ponte’s new job will come with a major raise from his $108,000 salary running Maine’s prison system. He will be paid $205,180 a year in New York City. He starts his new job April 7. In Maine, Ponte headed a state system with about 2,100 inmates in six adult and two juvenile facilities. New York City’s jail system has about 12,000 inmates, most of them housed at the 10-facility Rikers Island complex. New York officials have started the process of changing rules governing when solitary confinement can be used for adolescent inmates and those with mental illness. 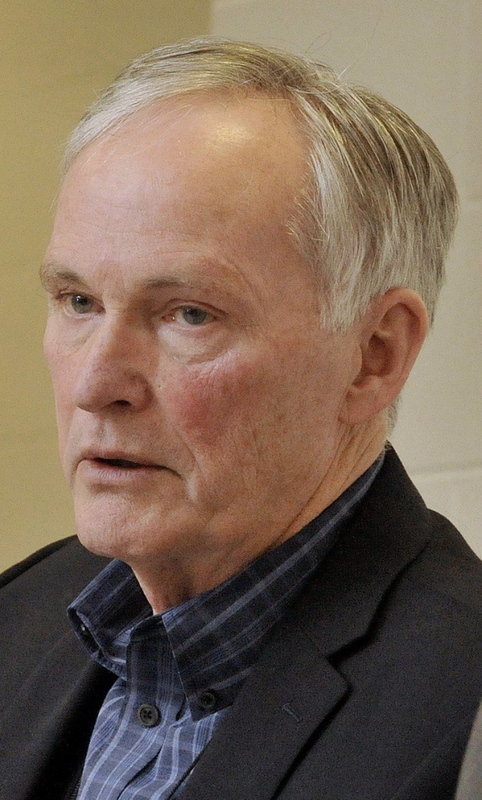 The Maine Department of Corrections said in a news release Tuesday that no acting commissioner has been named and a spokesman could not specify how long Ponte would continue to run the state’s prisons and probation system before he starts his new job. Ponte notified LePage about his plans to leave last week, according to a statement from the governor’s office. “Commissioner Ponte has done an excellent job for the state of Maine,” said LePage. “He has a long career in corrections, and his work around the country earned him a national reputation for reforming prisons. He found efficiencies within the Maine corrections system and reduced expenses without sacrificing operations or safety at the prisons. LePage’s statement made no mention of who will run the system in Ponte’s absence.